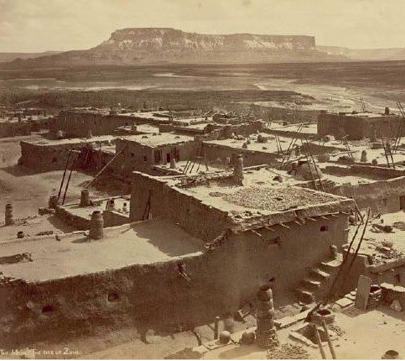 Zuni Pueblo1879 photo: John Hillers-Smithsonian. 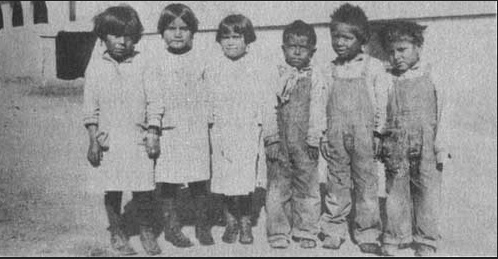 The true origins of the Zuni people are unknown. However, they are believed to be the descendants of the Ancient Pueblo People who resided in the areas of New Mexico, Arizona, Colorado and Utah for centuries. As with most American Indian people, the Spaniards were among the first recorded as making contact with the Zuni. In 1539, a Spanish expedition party led by Moorish slave Estevancio encountered the Zuni, and they killed him. In 1540, Fransico Vasquez Coronado led a military expedition into New Mexico, where a major battle between the Zuni and the Spaniards took place. The Zuni almost won the battle, which lasted from January until March. 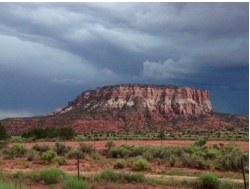 Many Zuni people fled to the steep mesa Dowa Yalanne for safety. In the end, the Spaniards gained control and massacred Zuni men, women and children. In 1598 Juan de Onate, Spanish Governor of New Mexico made his first visit to the Zuni lands. In the 1629 A Catholic missionary was established at Hawikku. In 1680 the Zunis revolted and burned the mission, and built a village and strengthened its defenses against another attack from the Spanish. Then in 1692 Don Diego de Vargas re-conquered New Mexico, after which the Zunis settled all their villages into one area. After the Mexican-American War, which lasted from 1846-1848, the Treaty of Guadalupe Hidalgo was signed which made New Mexico and the Zuni people part of the United States. 1. What was Franciso Vasquez Coronado’s reason for invading the Zuni territory? 2. What was the name of the mesa where the Zuni people hid from Coronado? 3. Why do you think that a Catholic mission was established? 4. Discuss the possible reasons for the Zuni revolt against the mission. In 1990, President Bush signed a Public Law entitled the Zuni Land Conservation Act that was designed to settle Zuni claims against the United States for damages to Zuni trust lands. The Zuni received a cash settlement for their lost territory. Today, the Zuni have a both a Government and a Tribal Council to serve the Pueblo. 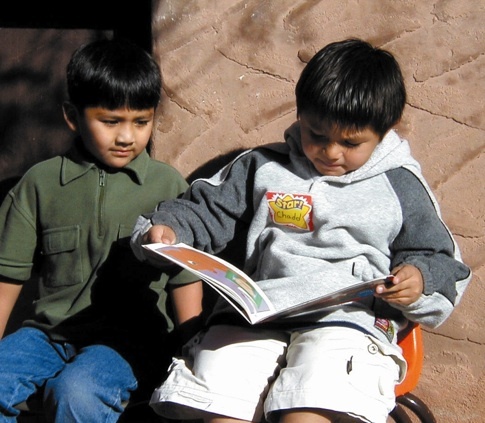 The Zuni hold their educational programs as very important for the development of their children. 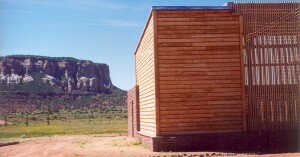 They also have enterprises such as Zuni Technologies, and Zuni Skies In addition there is also the Zuni Entrepreneurial Enterprises (Zee) which provides vocational training and employment opportunities, and independent living-skills for developmentally disabled adults within the Zuni Reservation and elsewhere in southern McKinley County. There are also many local businesses and tribal programs, which serve the Zuni community. It is their strong cultural and communal bonds that have kept and continue to keep them strong as a people. 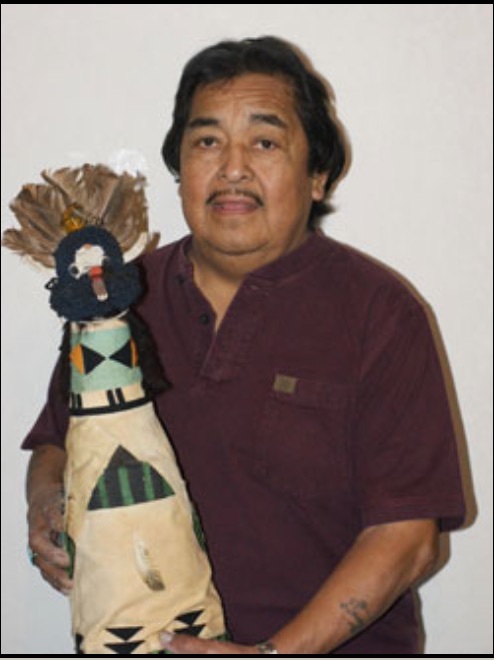 Born in Zuni Pueblo on November 21, 1946, Duane Dishta came into the world with design and creativity in his blood. His father Frank Dishta was already a famous silversmith, the creator of a new type of cluster jewelry. Though Duane learned jewelry making at an early age, for some reason he was more interested in painting. Work from his teenage years still surviving in the village shows the influence of the so-called “Indian” style of the Dorothy Dunn studio; flat, two- dimensional figures in tempera, usually featuring katsina figures. One family still has a fabric collage of a Shalako figure that Duane created in his early teens. He recalls he got the idea from another famous jeweler, Andrew Dewa, known for his carved bas-relief mosaic Katsina figures in silver and stone. Duane had been winning awards for many years. He says most of the prize winners were entered into competition by traders or the eventual buyers. He has won ribbons at Gallup Ceremonial, the Heard Museum show, Scottsdale, Sedona and elsewhere. These days his wife Margie is his agent and she takes care of the business end of things. A number of prints have been published from his paintings and they are proudly displayed in homes all over the extended village of Zuni. Many houses have several on the walls. 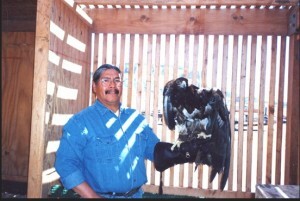 Zuni Fish and Wildlife director and biologist Nelson Luna. 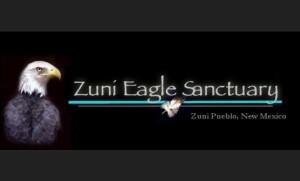 At the Zuni Eagle Sanctuary, care is provided for injured golden and bald eagles. The aviary was designed so the eagles could view the mesa from their cages. “Why not?” Eagle said, and so they began to hunt in partnership. Eagle caught many rabbits, but all Coyote caught was some little bugs. At this time, the world was still dark; the sun and moon had not yet been put in the sky. “Friend,” Coyote said, “No wonder I can’t catch anything; I can’t see. “You’re right, friend, there should be some light,” Eagle said. “I think there’s a little toward the west. Let’s try and find it.” And so they went looking for the sun and the moon. 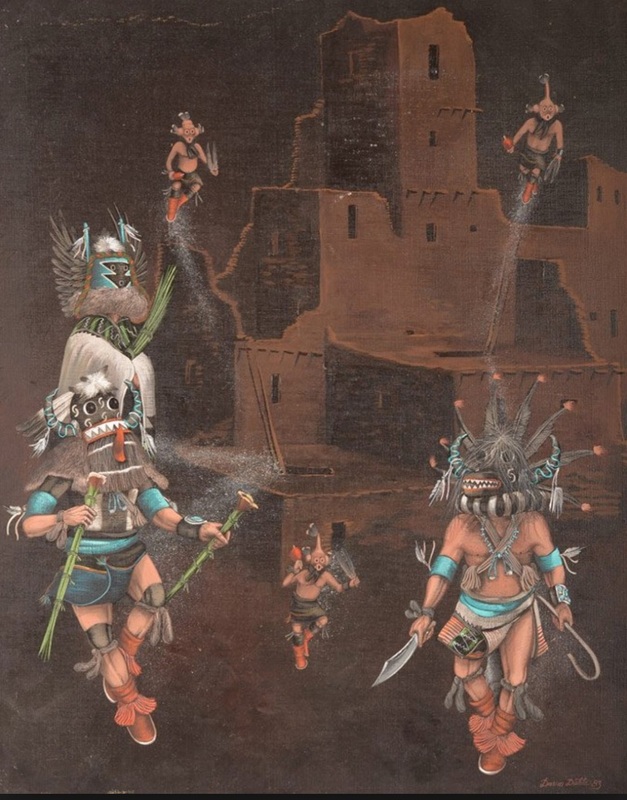 At last they came to a pueblo, where the Kachinas happened to be dancing. The people invited Eagle and Coyote to sit down and have something to eat while they watched the sacred dances. Seeing the power of the Kachinas, Eagle said, “I believe these are the people who have light.” Coyote who had been looking all around, pointed out two boxes, one large and one small, that the people opened whenever they wanted light. To produce a lot of light, they opened the big box that contained the sun. For less light, they opened the small box, which held the moon. Coyote nudged Eagle. “Did you see that? “Oh sure, oh yes, I promise. They continued on until Eagle was far ahead and Coyote began to lag behind. “I wonder what the light looks like, inside there.” he said to himself. “Why don’t I take a peak? Probably there’s something extra in the box , something good that Eagle wants to keep to himself.” And Coyote opened the lid. Now not only was the sun inside, but the moon also. Eagle had put them both inside together, thinking that it would be easier to carry one box than two. As soon as Coyote opened the lid, the moon escaped, flying high into the sky. At once all the plants shriveled up and turned brown. Just as quickly, all the leaves fell off the trees. Meanwhile the sun flew out and rose into the sky. It drifted so far away into the sky that the peaches, squashes, and melons shriveled up with cold. Eagle flew back to see what had delayed Coyote. “You fool! Look what you’ve done!” he said. It’s true. If it weren’t for Coyote’s curiosity and mischief making, we wouldn’t have winter; we could enjoy summer all the time.